I am constantly shocked when I hear people preach about freedom in Christ, only to discover a false concept of freedom is being presented. There is an entire movement that has reduced freedom to simply being free from guilt and condemnation. While we should never live in a habitual state of guilt or condemnation we should realize they are both emotional responses to a violated conscience. If when we violate our true identity in Christ we have no negative inward reaction, that is an indicator of a hardened heart. A hard heart is the precursor to a delusional life of self-destruction. IT IS NOT FREEDOM! Freedom from guilt and condemnation is a freedom from self-accusation concerning those issues we have already resolved in Christ! This quote is taken completely out of context. 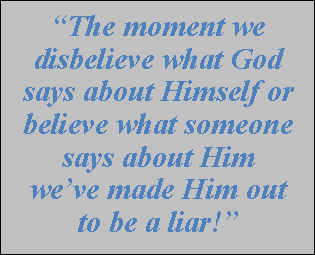 First, we must realize Jesus said this to people who believed on Him. I know none of these people were yet born again, but the principle is still valid: believing on Jesus does not automatically make us free! This starts with Jesus saying we must abide in His Word. The moment we seek freedom outside of the Word of God we have chosen the path of self-deception. Many feel the rejection of God’s morals, values and ethics is the New Testament path to freedom. But Jesus said we had to abide in His Word. Abide means to continue in that realm; not move to something else; to remain in a state of expectancy concerning His Word. Jesus actually qualified this further, because He didn’t just say abide in the Word, He said abide in His Word. He is the Living Word; He is the Word made flesh. He is the only accurate interpretation of God’s Word. When we move ourselves from God’s Word as revealed in His life, teachings, death, burial and resurrection, we are not in His Word and cannot actually experience freedom by the grace and power of God! When we choose Jesus’ revelation of God’s Word, we must experience it for it to have any impact in our lives. Experiencing God’s Word first occurs in the heart, when we experience a promise of God as being real in this moment. As we ponder, consider, reflect on and meditate in God’s Word as being real in our lives now, we experience it as our reality. 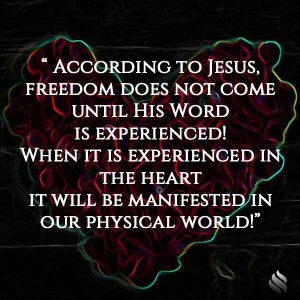 According to Jesus, freedom does not come until His Word is experienced! When it is experienced in the heart it will be manifested in our physical world! Until it is experienced as real in the present, it is simply information. I’ve spent my life developing biblically-based programs that empower believers to experience God’s promises. 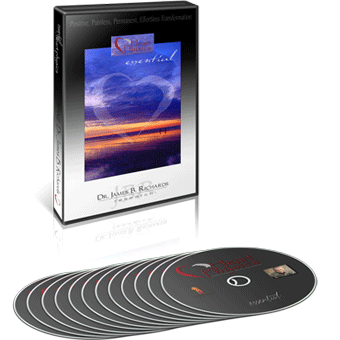 Essential Heart Physics® is a 30-day life renewal program I developed to help people experience the reality of Christ in them. After we experience Christ as an abiding presence in our life, we are ready to experience His promises! When we have an abiding sense of “Christ in me” most of our life boundaries begin to move. Experiencing Christ in me, means I don’t have to try to remember to do the right thing, it is who I am; I don’t have to find God when I pray; I am never alone. From this abiding sense of Christ in me I feel limitless. The boundaries of my life are moved; I am only as limited as Christ. 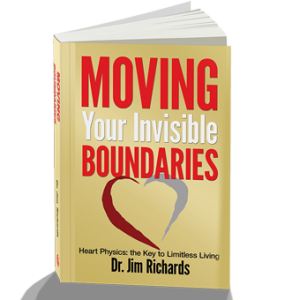 Also, be sure to get a copy of my Book, Moving Your Invisible Boundaries, the cornerstone book for discovering what the Bible says about the heart, how to influence, and how to experience all that is yours in Christ! If you’re tired of fighting the same battles over and over again; if you’re ready for Jesus to become the center of your life; if you want to be connected to Christ in a way that is palpable and ever present, this is your chance! If you’re ready to experience God’s promises and experience real freedom, don’t put it off; download now and start today! A Heart Physics® coach will be available to answer your questions and help you make this journey! PreviousIt seems I’m surrounded by controllers; what should I do? NextI am easily intimidated by people. What’s the worst sin a person can commit?